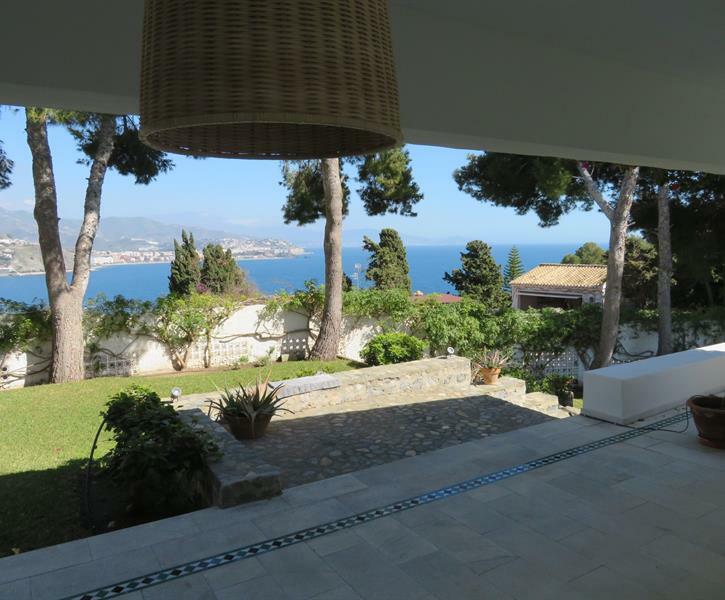 Lovely large villa with magnificent seaviews, patio with outdoor kitchen, beautiful mature garden at walking distance from beach and village (15 mins). We were a family of 8,five adults & 3 children. The house is beautiful and very well equipped, in a good location with stunning views. We all loved the outside dining area with BBQ and magnificent sea views.The pool was also great! The house is near to La Herradura and walkable but that walk is very hilly so a car is also recommended for shopping etc. We had a thoroughly enjoyable stay at this villa. We stayed in Puntillo del Sol to celebrate my 50th birthday. There were 8 adults staying in the villa. It is a beautiful and luxurious villa, that has everything you need to have a fantastic holiday! The villa is distributed on one level, with some small steps between different areas. All rooms are spacious and comfortable. The views are spectacular and the garden is stunning! Great pool area as well! Can't wait to go back!